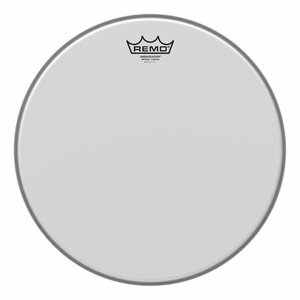 Ambassador® Vintage Coated drumheads feature focused midrange tones with a soft feel. Combining 7.5-mil and 3-mil Coated films into a durable 2-ply construction, Ambassador® Vintage Coated drumheads provide the sensitivity of Diplomat® Coated, midrange of Emperor® Coated and durability of Ambassador® Coated drumheads. The Ambassador® Vintage Coated is the most versatile Tom and Snare drumhead in the industry. Available in sizes 8" - 18".